Article written by Greer Arthur. The Comparative Medicine Institute (CMI) at NC State is launching a Drug Discovery Initiative to reinvigorate the hunt for powerful new drugs. The initiative, coined ‘Natural Products to Drugs’ (NP2D), will accelerate the identification of naturally-occurring compounds with therapeutic potential, ultimately leading to the development of new medicines targeting infectious diseases, inflammation, allergies and pain management. 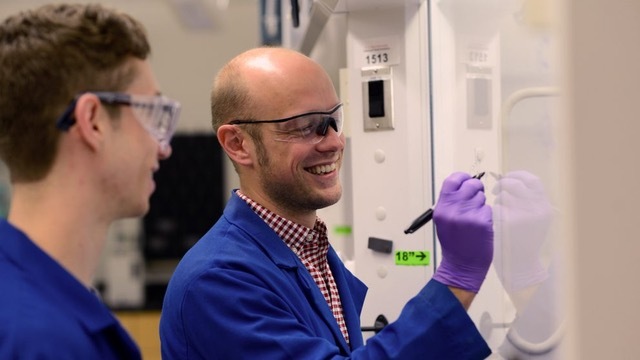 “The idea behind this initiative is to find new molecular entities that show great promise, activity and safety profiles, and increase the translational potential of natural products research into leads for new medicines,” says Joshua Pierce, Assistant Professor of Chemistry, University Faculty Scholar and leader of the new initiative. Image: Joshua Pierce, Assistant Professor of Chemistry and leader of the new Natural Products to Drugs Initiative.